Make sure your plugs are firing at voltage levels that ensure optimal combustion and peak performance. If your old coils are tired and unable to do the job, an ignition service kit from ECS Tuning will put some zap in the gap when you need it most. 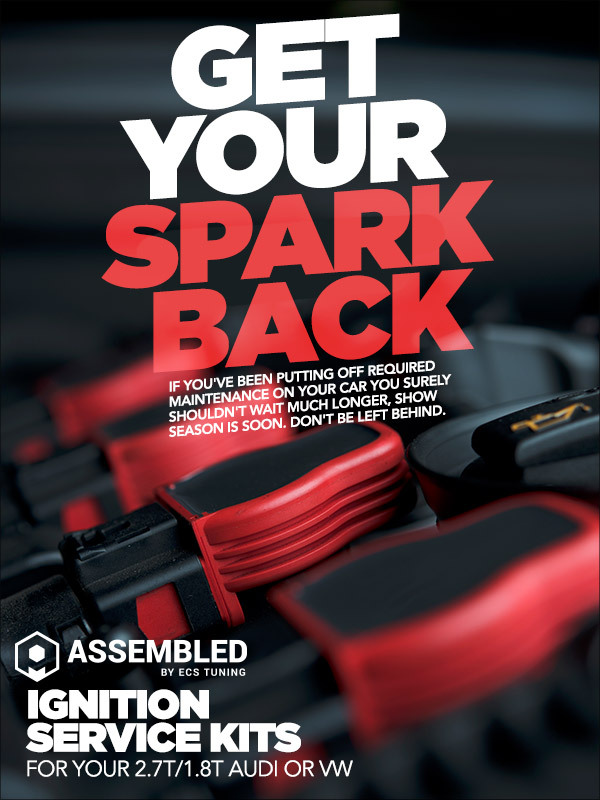 Is your ignition system coiled and ready to strike? 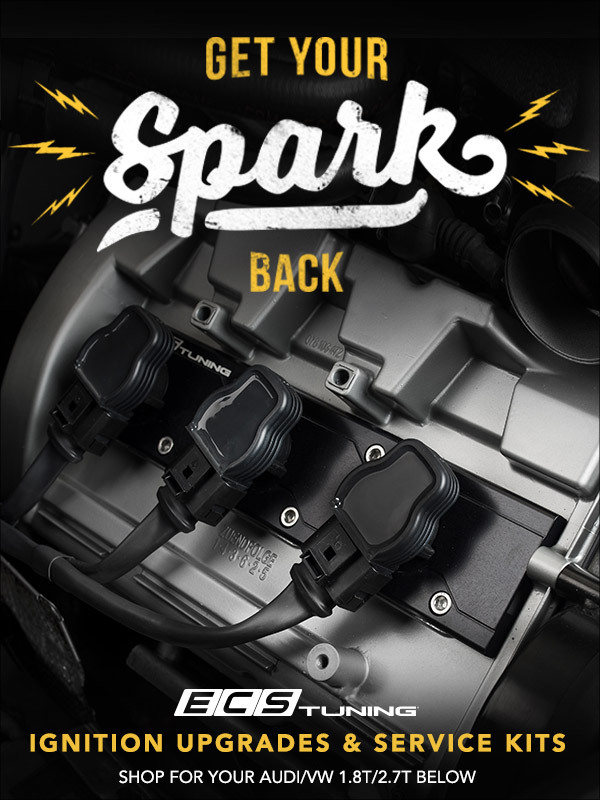 If your old coils are tired and unable to do the job, an ECS assembled ignition service kit will put some zap in the gap when you need it most. Our ignition service kits are easy to install and come with everything you need to restore ignition efficiency, firing at voltage levels sure to get the most from each and every power stroke. AWE Tuning Performance Exhaust systems. Hand crafted, one by one, every time. Quick Reply: It's ignition service time! Spark one up with us.